Live in the Present is an educational institution built for the 21st century. Our primary concern is the happiness and well being of others. We exist to inspire great things of great people. We’re not an institution in any traditional sense. We have no building. No school. No real teachers, as such. Our school is all around you. Our teachers are every person that you have ever met and will ever meet. In the coming months and years we will be releasing various products that are designed to help you to live a better life. Books, audio recordings, apps and who knows what else. There’s never been a better time to learn. Age is no restriction. Sean is a psychotherapist working from Wirral, UK. Born in London England. For Sean life is a journey of self discovery, based on a firm belief in the infinite creativity of human beings, and that if we are positive and work together we can create heaven on earth. Sean loves people and is a loveable kinda guy. 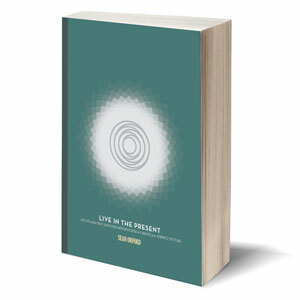 How Does Sean Live in the Present? Working with people, Meditation, doing Hatha yoga, cooking, playing guitar, being with Rie and Robert and writing books. Ed is a Dad, designer and self-titled ‘failure and under-achiever’. Interested in most things in life, Ed likes to read. He spends a good deal of his life online meaning he tends to stumble across all manner of interesting things, many of which will end up on this site. He loves a challenge, technology and photography. How Does Edward Live in the Present? I love reading, climbing mountains and spending as much time as is humanly possible with my family. Rie is a mum and counsellor, specialising in Cancer care. Happiness for Rie is being with family and friends around the kitchen table, eating delicious food and having fun. For Rie, life is all about helping other’s. How Does Rie Live in the Present? Meditating, my work, escaping to the barn, baking, spending lots of time with the people I love, switching my phone off! This is our first product. It’s the cornerstone of all of the work we’ve done so far, and the foundation of that will follow.